This portal, first announced at the White House Innovation for Disaster Response and Recovery Initiative Demo Day, features disaster-related datasets, tools, and updates on how to get involved. We look forward to your input to help make this site a valuable resource for the community. Are you ready for the next emergency or natural disaster? On this site, you’ll find tools and disaster-related data to be more prepared. Please submit your feedback and ideas to disastertech@ostp.gov. Watches, Warnings, and Advisories National Weather Service Storm Prediction Center feed of watches, warnings and advisories that are currently in force in the United States. National Structures Dataset (NSD) The United States Geological Survey (USGS) structures data includes the name, function, location, and other characteristics of facilities, collected based on disaster planning and emergency response needs. Next Generation Radar (NEXRAD) Locations Map of weather radar sites gives access to data and products jointly owned by the National Oceanic and Atmospheric Administration, Federal Aviation Administration, and Department of Defense. 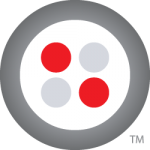 Twilio is open sourcing a Rapid Response Kit for developers to stand up communications solutions during an emergency response, featuring SMS-powered volunteer signup and survivor surveys, flexible push and pull conference calling, and phone tree configuration. Users can start with $500 free credit by visiting Twilio.org to clone or download the Rapid Response Kit. TaskRabbit Needs for First Responders is a web portal offering a real-time marketplace to connect local service providers with those that need assistance, without any fees. Those interested in joining the pilot program can email DisasterRelief@TaskRabbit.com. 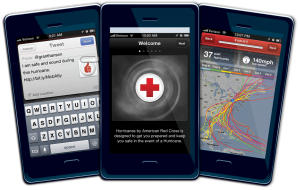 The American Red Cross provides different disaster preparedness apps in English and Spanish to deal with first aid emergencies, weather emergencies, and natural disasters. Users can download the apps for free at http://www.redcross.org/mobileapps. Taking Action for America’s PrepareAthon!